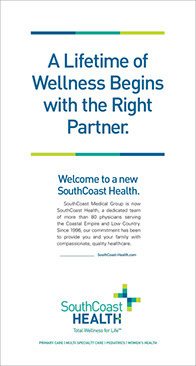 Based in Savannah, Georgia, SouthCoast Medical Group long ago established itself as one of the region’s preeminent healthcare organizations, with more than 80 physicians offering primary care, women’s health, pediatrics, and multi-specialty services to patients throughout the Lowcountry and Coastal Empire. 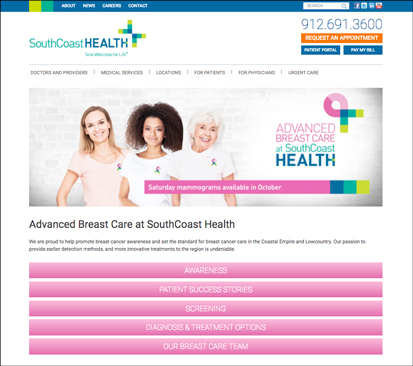 But SouthCoast Health’s brand did not match the quality of care it offered, and its story was not being told. 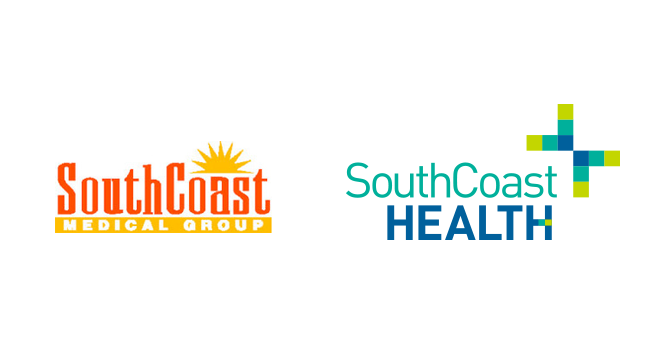 Lenz proudly partnered with SouthCoast Health, helping to refine its practice name, develop a new logo and website, and launch a strategically integrated marketing campaign that produced measurable results. 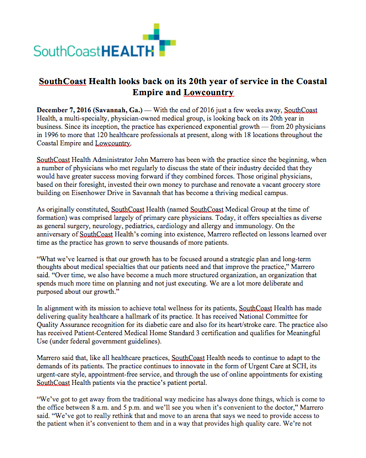 After an extensive discovery period, Lenz recommended the name SouthCoast Health to better communicate the practice’s commitment to their patients. A new logo, graphic identify, and website followed. 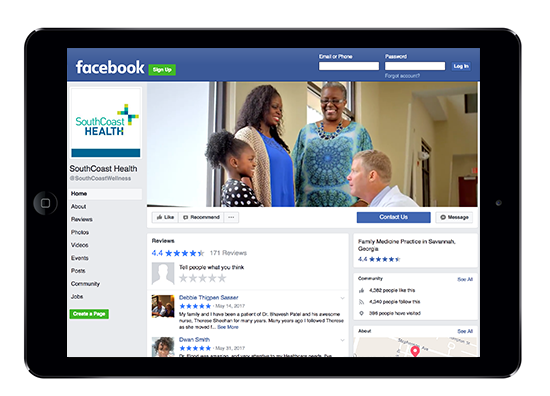 Lenz developed the tagline “Total Wellness for Life” to capture the group’s unique ability to care for their patients at every stage of life and health—from pediatrics to geriatrics, and prevention to treatment. 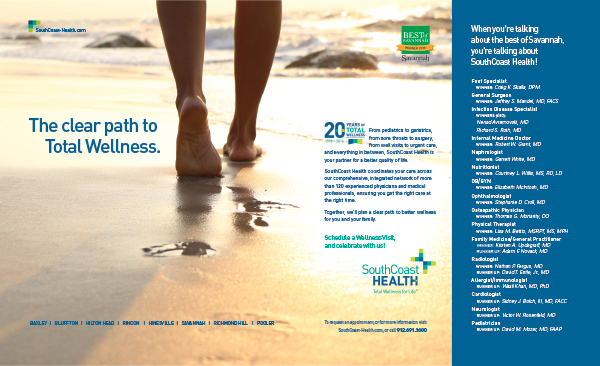 After setting the foundational elements of the new brand, Lenz and SouthCoast Health launched an integrated marketing campaign featuring television, radio, print, and digital advertising, public relations, and social media to reintroduce the practice, promote the its various service lines, and market its many treatment locations. 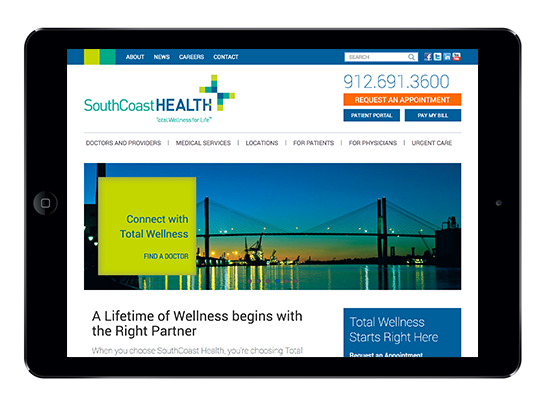 The practice website, previously a weakness, was transformed to not only better represent the practice, but also generate new business through its online patient appointment request form. 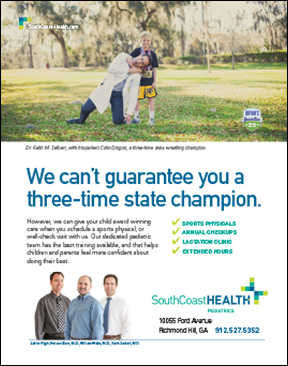 For years, SouthCoast Health was able to thrive in a healthcare environment where providing great patient care and earning the respect of other physicians was the formula for success. But with the Internet, patient choice, and today’s increased healthcare consumerism, the old formula is no longer enough. Now, as the practice plots its future growth, it does so better prepared to compete—in today’s healthcare marketplace—for the right to help more patients achieve Total Wellness for Life.